Sky is no longer the be all and end all in home entertainment. There was once upon a time, a choice between 4 or 5 analogue channels, often grainy and snowy or contained ghosting (does anyone remember that?). It was possible to improve your TV picture and reception, plus get a load more TV channels with Sky digital. When you signed up as a new customer you could often get a “free” satellite dish installation also, which sometimes made more sense than repairing a TV aerial which no longer worked correctly. Of course, the down side was you could no longer receive free TV, with the exception of the cost of a UK TV licence. Fortunately, those times are long gone. You have a wealth of options available to you now. Some you pay for, some you don’t need to. Some are received by a TV aerial, others via satellite and over the internet and Sky no longer have monopolies on things like sports and movies with things like BT Vision & Netflix now available. This blog has prepared for those who are considering leaving Sky for another TV provider but are not sure which way to go. It is worth noting, that for TV of any kind in the UK. You should have a TV licence, it doesn’t matter if you only stream TV over the internet you still require a TV licence. I have divided all of the following options into two differing sets of categories. This is how the TV platform is broadcast and received at your property and whether it is free or subscription based along with some of the pros and cons of each of the services. All of the platforms mentioned in this section all require a reoccurring subscription payment. BT Vision is kind of the TV aerial equivalent to Sky TV. A lot of people who leave Sky often do, so they can subscribe to BT Vision. It is worth noting that BT Vision is delivered and received via a TV aerial and not a satellite dish like Sky TV. This is something that the eager sales call centres are not always quick to point out. I have personally attended numerous installations where they had no knowledge that they couldn’t use their satellite dish for their BT Vision reception. So, you should consider before you leave Sky for BT Vision whether you one, have a TV aerial and two, whether this is in full working condition. If you do not already have a TV aerial then the cost of this should be filtering into your decision. We currently charge £185 inc VAT for a new standard TV aerial installation but I recommend you read our blog on how much a TV aerial installation should cost. For BT Vision to work as it is intended to you will also need to connect it to a broadband internet connection. BT Vision works by combining conventional Freeview, received by a TV aerial and streamed subscription TV services, like sports, movies etc and on demand content delivered via the Internet. BT Vision now uses the Youview platform and brings all of the services together, so you will not necessarily know if you’re not familiar with Freeview channels already, what channels exactly are received over the internet or your TV aerial but it’s the subscription paid services that are delivered over the internet. Finally, it’s also worth a note, I have yet come across a BT Vision set to box that is WIFI compatible, so if you have a Sky box that is currently connected over WIFI to replicate your current set up with BT Vision you would need also consider the work/ cost required to have a ‘wired’ connection. Cons: Not available in large parts of the country. Virgin Media is perhaps Sky’s main competitor in the UK and has a very similar amount of premium services like sports and movies, but this really does depend on the area that you live in as cable TV is not available in large parts of the UK. For example, where we are based, Eastbourne in East Sussex the vast majority of the county is not served by cable TV. You would have to head over to near Brighton to be able to receive Virgin Media. The benefit of cable TV however is when it is available at your property, digging trenches to connect you to the cable network may be necessary is that you no longer need a TV aerial or satellite dish to be able to receive TV, you may still want one as a back up and to provide TV to extra rooms in your house however. You will also benefit from some of the fastest possible broadband speeds available with cable. TalkTalk TV is very similar to BT Vision so the description on the service is very brief, both use the popular Youview platform which creates for a very simple user experience. TalkTalk TV works with a connection to a TV aerial for live TV services and a connection to the internet for on demand content and subscription-based TV channels. I have also yet to find a TalkTalk TV box that can connect to the Internet via WIFI so you may need to install an ethernet cable or powerline connectors for your internet connection. Now TV is an internet operated service provided by Sky. This means that you can get the vast majority of Sky services through your Now TV service, like Sky Sports and movies. There are many ways that you can receive Now TV. It’s available on equipment like Xbox but you can also get your own Now TV set top box that connects to your WIFI. Now TV can be purchased a few ways, you can sign up to a monthly reoccurring payment which is a 30-day rolling contract or you can buy passes for a period of time, like a day, week or month and use it like a pay as you go service. This is perfect for when you only want to watch a short-term event, like a Sports tournament and don’t want to be burdened with a monthly subscription. I personally do this myself when I watch the darts every year as I’m not interested in paying for Sky TV. One of the downsides of Now TV is there are no live BBC, ITV, Channel 4/ 5 streams so you can’t watch main terrestrial live TV. Now TV have got another solution for this though where you can purchase one of their set top boxes that has a TV aerial input and you can combine your Now TV service with Freeview supplied via a TV aerial, like BT Vision & TalkTalk TV so you can receive live terrestrial TV services all in the same set top box. All the following TV platforms are completely free at the point of use. 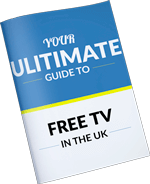 If you haven’t already I recommend that you download our Ultimate Guide to Free TV, this can be downloaded to the right-hand side of this page if you’re viewing this on a desktop PC or by scrolling down near the bottom of the page if you are reading this on a Smart Phone or tablet. Just insert your name, e-mail address and select the button that says, “Yes please send me my free guide” and it will be on it’s way to you. This will really help you if you are unsure as to what service are available to you. The main TV provider in the UK. The UK somewhat bucks the international trend with the popularity of TV aerials and the majority of households have access to Freeview in their property. To receive Freeview all you need is a TV aerial and compatible digital TV or set top box. 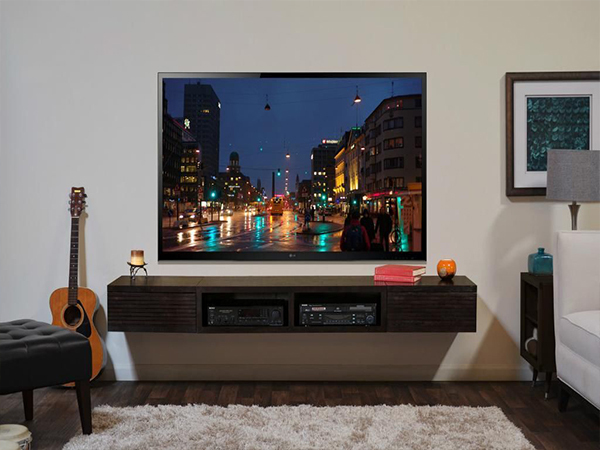 You will actually be hard pressed to find digital TV’s that are not Freeview compatible so chances are you already have in your home compatible TV equipment. If you do have a Freeview compatible TV, then all that’s required is an inexpensive set top box available from most supermarkets. Youview is the platform that BT Vision & TalkTalk TV both choose to deliver their TV services, but you can enjoy the benefits of Youview without a subscription payment. You obviously wouldn’t eb able to receive BT Vision or TalkTalk TV subscription-based TV services like sports, but you can still have your live TV and catch up TV services all in the one place. The same TV guide that shows you 7 days programmes lets you scroll back and play programmes that you have missed. Obviously, you could do this by going into the individual applications like BBC iPlayer & ITV Hub, but this just makes the whole process much easier. Youview was traditionally delivered to homes via a set top box that often has an internal hard drive for the storage of recordings, but it is ever more often being built into digital TV’s. Freeview Play is Freeview’s latest offering, it combines a traditional Freeview service delivered via a TV aerial and on demand services provided via the internet. You will need a separate set to box for Freeview Play which usually retail at around £200 so you get the main benefit of the service which is the ability to record four programmes at any one time and watch a fifth. This solves the issue of all the best TV programmes being broadcast at the same time on prime-time TV. So many times, I have not wanted to watch anything all day and then a whole bunch of programmes start all at the same time. Freeview Play would be a good work around this all one set top box. Many of these programmes could also be viewed through the catch-up services on the Freeview Play box supplied via the Internet but if your record your programmes you can skip through the adverts that online services like ITV Hub and All 4 makes you watch first and during the programmes. Cons: Not built into most TV’s, usually requires a separate set to box. Freesat is kind of the Freeview of the satellite work as much of the channels are the same, albeit on different numbers. There are some variants however, most notably Dave which is available on Freeview but not on Freesat, but Freesat does boast more channels. To receive Freesat all that is required is a small unobtrusive satellite dish installed on the exterior of your property and a Freesat compatible TV or set top box. As the signals are delivered to your home via satellites it results in a nearly 100% coverage of the UK making it a perfect option for areas where the Freeview signal is known to be poor, it’s also a great option for those of you who wish to leave Sky as you already have the satellite dish and all you will need is the Freesat box. You will however need to change the LNB on your satellite dish if you are leaving Sky Q for Freesat as it is not compatible with the service. One downside of Freesat is that recently there has been a dispute between channel 4 and the BBC/ ITV over the carriage fees imposed on them to go on the Freesat platform. This resulted in Channel 4 removing Channel 4 HD and All 4 from the Freesat platform. Read more on this by clicking the link above. They may in time settle their dispute but for the time being its seems subscribers of Freesat will have to accept that these services will not be available on their platform. I’m sure you can see the re-occurring theme here which Youview & Freeview Play both being offshoots and further extensions of Freeview Play. Freetime is Freesat’s or satellite TV’s equivalent of this. You receive your traditional live TV delivered to your home via a satellite dish TV and catch-up services delivered via an internet connection. Freetime also has something like Youview where you can scroll back on the electronic programme guide (EPG) and find services earlier on that missed and want to catch up on. It isn’t quite as slick as Youview’s platform for this but works just as well. The fact that Channel 4 and Freesat has had a disagreement on carriage fees is an item for consideration as you will no longer be able to receive the All 4 catch up TV service through Freetime, disappointing I know but hopefully this will change soon. There you have it, some cheaper alternatives to Sky, some around the same price and some completely free. If you liked this blog or if there is anything that you would like me to explain further to you, please do LEAVE A COMMENT and I will get back to you in the soonest.